" This is one effort to improve services and access to clean water to citizens"
The state tap-water company (PDAM) is going to expand the coverage of clean water in the capital this year. It is done, as Jakarta was still dependent on raw water supply from outside Jakarta. 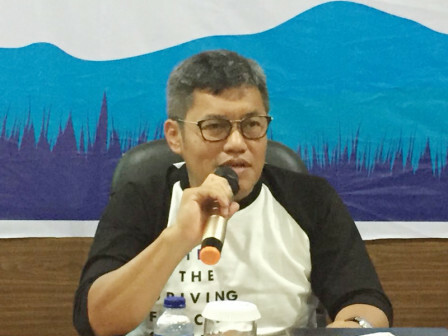 In details, 81 percent of raw water comes from Juanda Jatiluhur Reservoir, 16 percent comes from the purchase of bulk water in Tangerang PDAM, and 3 percent comes from rivers in Jakarta. "This is one effort to improve services and access to clean water to citizens," expressed Prayitno Bambang Hernowo, President Director of Jakarta PDAM, Thursday (9/6). He explained that the current clean water service coverage reaches 60.99 percent with customer reaches 851,155 customers and water distribution reaches 20,232.5 liters of water per second. Along 2018, various efforts have been made by the company to improve services and access to clean water for the people, including the Hunan Kota pipeline construction and clean water services for the flat people. "Aside that they also have opened services to priority villages, clean water services during the 2018 Asian Games, and the upcoming 2018 Asian Para Games," h e stated.